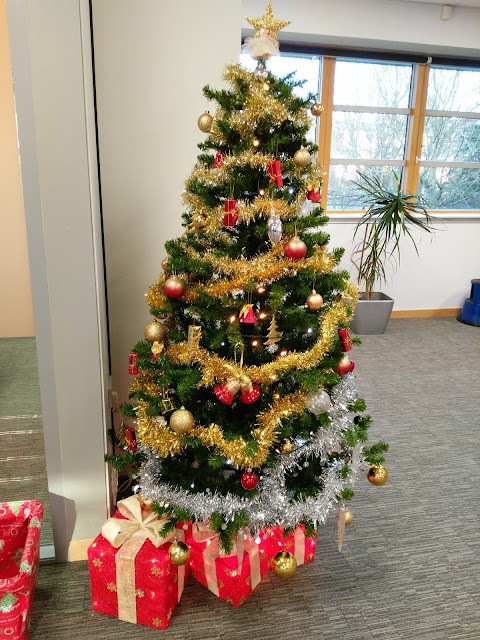 Merry Christmas and all the best for a Happy and Healthy 2018 to all the readers of the North Scotland GP Training Blog. 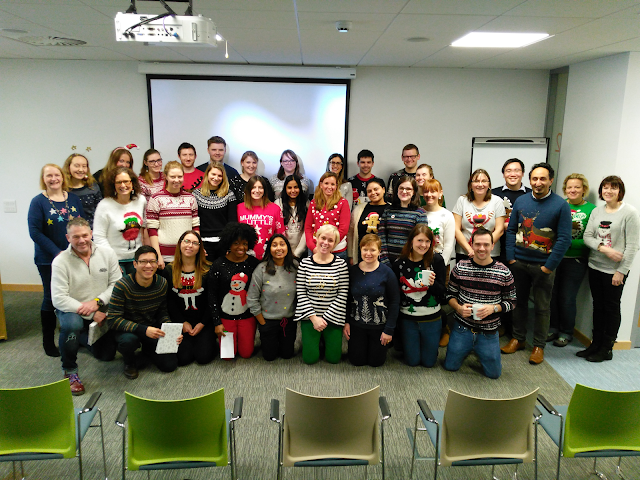 Trainees and group facilitators donned their Christmas jumpers in aid of Save the Children UK for the final GPST Group work session of 2017. The groups worked together at various stations meeting different GP competencies. A game of charades using non verbal communication demonstrated skills in this area, community orientation was explored with a quiz on Aberdeen and the local area and CEPS with a high pressure team Bop It session. 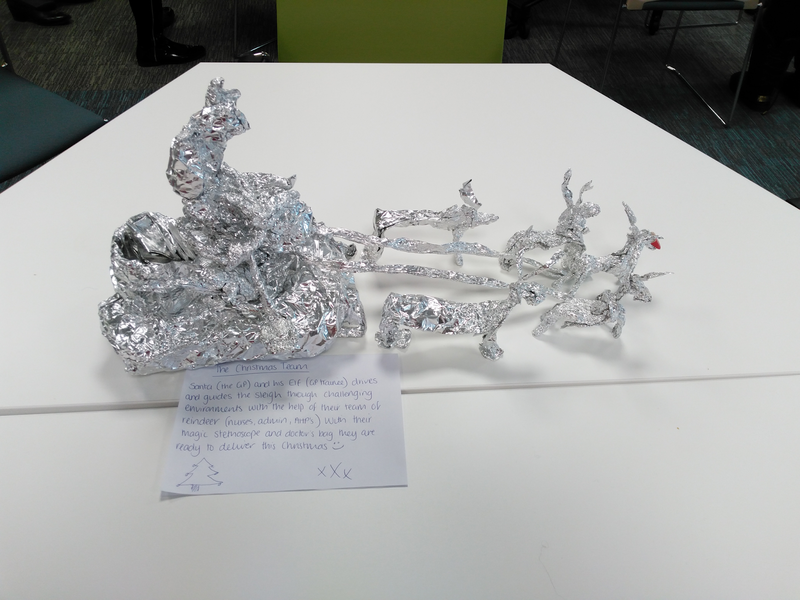 And a Team working session involving modelling a GP Christmas Scene out of Tin Foil. 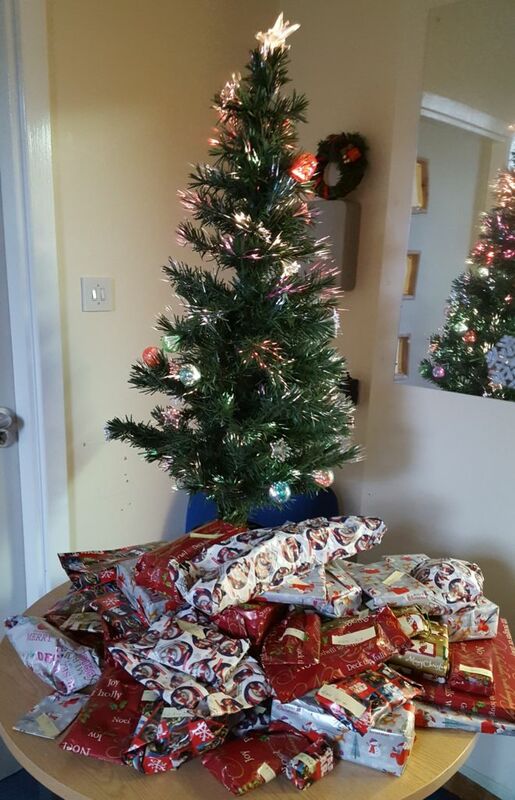 We look forward to welcoming the trainees back in 2018..
Caroline* came to stay for a few days this week, and added to the regular fun of island life. Schools were closed as she flooded roads, smashed bus windows and finally deposited a load of icy snow on top of us with the delicate help of some 70mph winds. Of course I was working. No wave watching for me (actually I tried when the winds were at their highest, but you couldn't see far enough to appreciate it properly...) No swimming either - hope my wimping out doesn't disappoint anyone! Coordinating the transfer of a patient off island while wind and snow also makes its way south, freezing airport runways on the way turns out to be interesting but ultimately manageable. I'm hoping my friend will blog about the fun she had on the same day, so I won't steal her thunder - but if she doesn't I'm going to claim her story as mine and tell it to you later. My story is from another week: Caroline hadn't yet reared her head, so at least we didn't have that logistical headache to contend with. We did however have a child with a significant overdose on a Sunday afternoon. 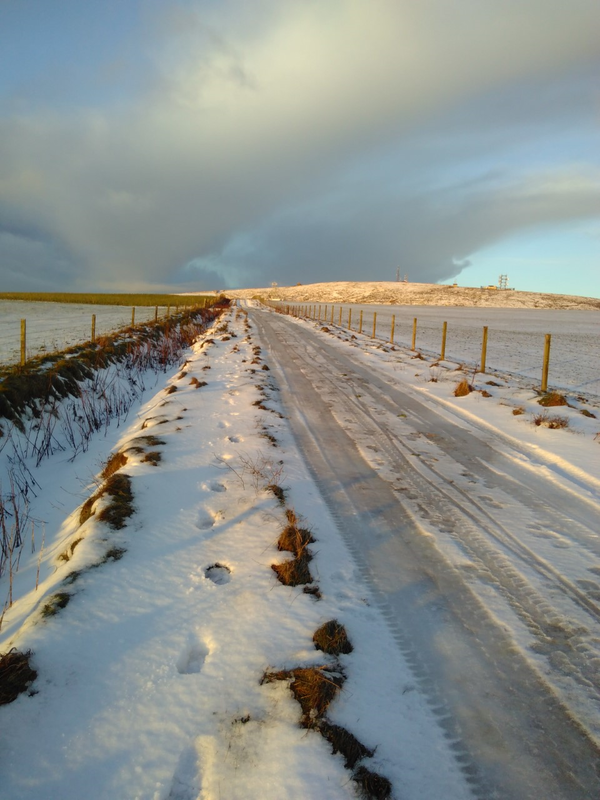 The hospital in Orkney doesn't have the capacity to look after children: anyone we're worried about is discussed with paeds in Aberdeen and transferred down there if admission is needed. If someone is needing higher level care the retrieval team will pick them up in the hospital; otherwise the regular air ambulance will collect them at the airport from one of our local ambulances. So far so simple. However, if they need any kind of intervention running, they can't be taken by the air ambulance paramedic without medical or nursing support - we've previously paused non-time-essential infusions for the duration of the transfer to facilitate this - and if, say, the runway at Aberdeen happens to be closed overnight for repairs the transfer suddenly involves a diversion to Lossiemouth and an extra 1 1/2-2 hour land ambulance transfer. So this became my first air ambulance transfer. NAC running. Pickup due after 8pm... after 9pm... Phone call from air ambulance: pickup due after 1.15am... But if we wait until 4am, we can fly you straight in to Aberdeen and avoid the land transfer, and you'd probably only arrive an hour later. Since by this point all hopes of being put up in a plush hotel while waiting for my flight back had evaporated, I decided that the patient was safer leaving slightly later but not being stuck with me in the back of an ambulance on a winding road, and went for the delayed but direct transfer. All my efforts learning to program the syringe pump had been in vain: the 3rd infusion would already be running by the time we left (phew!) so I grabbed myself a free bed on the ward for a few hours, then enjoyed my first and second ever ambulance journeys and a trip on a tiny little plane that was amazingly quiet (and sadly no in-flight cup of tea!) before heading straight back to Orkney on the next flight up and back to my own bed after a rather longer day than planned! Check out this fabulous Doric Dictionary produced by The Robert Gordon University. A must for any future Grampian Trainee. Each year we ask our GP trainees for feedback from all aspects of the Grampian education programme including groupwork. The feedback is greatly valued by the GP team at NES. We hope that current trainees and those contemplating GP training will find them helpful. Here are some comments collected in June 2017 .